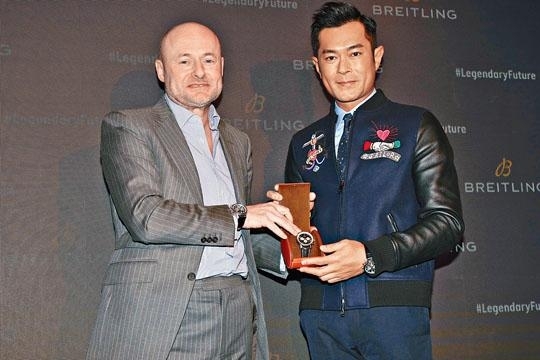 Wesley Wong will promote his new film in the U.S.
Louis Koo Tin Lok two nights ago attended a watch event. 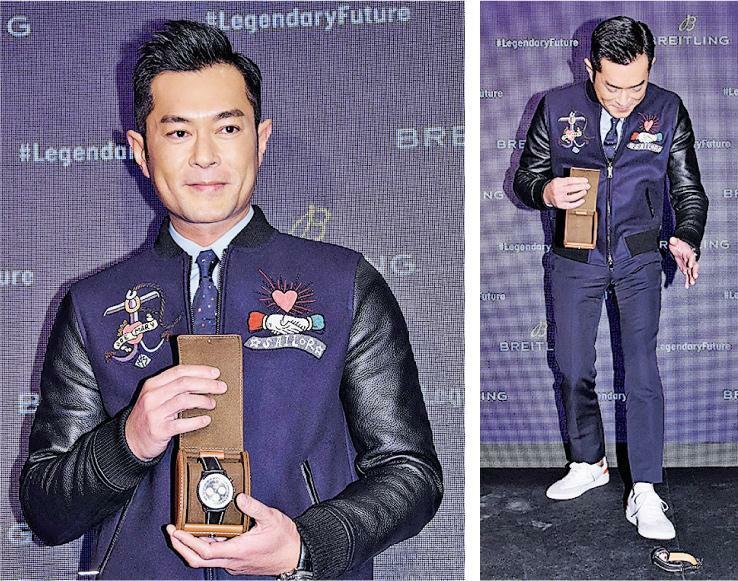 When he posed for photos the watch slipped and fell out of his hand to the floor. Goo Jai said, "This proves the watch's strong anti shock ability!" Speaking of being elected to be the Hong Kong Performing Artists Guild president, Goo Jai happily said, "I hope to be able to bring new motivation to everyone. In addition I have some new plans, but they will have to wait to be announced later!" Goo Jai was busy with movies, would he have time for the post? He answered, "Time is for me to grasp, I would try to make time." Would he reduce production? He said that he could make his own schedule. Goo Jai just finished shooting SONS OF NEON NIGHTS (FUNG LUM FOR SHAN) in Korea. He said that he worked in 20 degrees below zero temperature there, he was not only shivering but hurting from the cold. Even over 20 heat pads on his body were no help and the bottom of his feet were frozen. However after the pain he would be able to spend the Lunar New Year in Hong Kong with his family.